We'll reveal a secret: Sardinia is a Cycling destination! Let us express our idea about some beliefs around this subject. Cycling tourism is not an interesting niche market. It’s a really interesting and articulate market, and many successful touristic destination got it and they invested lots of money to develop it. Most of organized tours (guided or self guided) cost per week between 700 and 1400€. But a cycling tour can costs much more, like the ones sold by american tour operators, that can go up to 1500€. Per day. Then we have 100€ independent cycling tourists, carrying their own luggage with paniards, sleeping in hotels, B&B and sometimes camping. Still they are so important for the reputation of the region. In Sardinia we have about 20 companies directly involved in cycling tourism, and 80% of their revenue generates business for hotels, restaurants, bike related services. Clubs do promote the use of the bikes, they do organize race and bike related events, but the cycling tourism is made by specialized companies like tour operators, agencies, bike rentals, shuttle services and so on. 4 Cycling tourism business? Ok, you organize bike excursions! 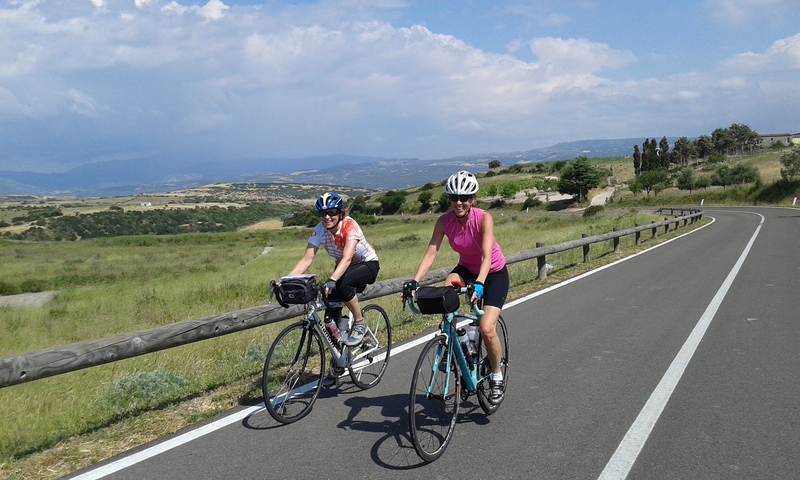 Cycling tourism is travelling by bike, not just doing a bike excursion. We all love riding on weekends with friends, to train or just to enjoy our area, but this is not cycling tourism. When we talk about cycling tourism, we refer to those tourists that design their whole holiday around the bike. As we’ve said, this is an articulate market. So there’s several kinds of cycling tourists. The development projects of the most successful destinations are tailored on the features of the destinations itself. that’s why we have cycling paths on flat areas like Holland or along big european rivers, while we don’t have cycling paths on mountain or hilly areas, that’s because those cycling tourist they are looking for cycling on scenic low traffic roads and they want to climb. There are also specific town that focused on “gravity” disciplines (all mtb specialty that involve downhill). Then there are some areas, like Trentino in italy, that thanks to its morphology and investments were able to cover all market segments. Sardinia has cycling tourism, it’s constantly growing and has been created by passion of those 20 entrepreneurs working on this field since 15 years. Now it’s time for a big move, a cycling network it’s ok, but if we could make a wish we’d ask for more flights all year round to the island and less expensive.